It is well known and documented that people living with psoriatic arthritis (PsA) have an increased risk of cardiovascular disease, which includes damage to the blood vessels that can lead to heart attack or stroke. Part of the reason people with PsA are more likely to have cardiovascular disease is because they have a higher rate of the usual risk factors, such as obesity and diabetes. But even after those risk factors are taken into consideration, PsA itself seems to increase risk for cardiovascular complications. Recently, research has looked at inflammatory pathways as a commonality in both PsA and in the blood vessels. People with PsA have noticeable inflammation in their joints, causing stiffness, pain, and possible disability that impacts many daily activities. 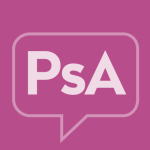 PsA is an autoimmune disease, in which the body’s immune system gets triggered and creates chronic inflammation that causes damage to the joints. While the effects of inflammation are easily visible in the swelling and pain of the affected joints, it is also happening elsewhere in the body where it may go more unnoticed. Other studies have seen similar increased risk for cardiovascular disease among patients with other chronic inflammatory conditions, including psoriasis, rheumatoid arthritis, and lupus. While there are multiple inflammatory pathways that occur in the immune system, researchers continue to search for the commonalities and ways to interrupt the inflammation cascade in order to reduce the symptoms of PsA as well as reducing the risk of vascular inflammation and damage. Ernste FC, Sánchez-Menéndez M, Wilton KM, et al. Cardiovascular risk profile at the onset of psoriatic arthritis: a population-based cohort study. Arthritis Care Res. 2015 Jul;67(7):1015-21. doi: 10.1002/acr.22536.